After our Lord's ascension the gospel was to be preached to the whole world by a few persons, who had been eye-witnesses of his miracles, and were enabled, by the power of the Holy Ghost, to confirm their testimony concerning him by doing the like wonderful works themselves. That this might be accomplished, it was necessary that the disciples should quickly disperse themselves into all parts of the world. 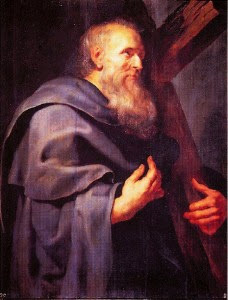 St. Philip accordingly preached the gospel in the two Phrygias, as Theodoret and Eusebius assure us from undoubted monuments. St. Polycarp, who was only converted in the year 80, enjoyed his conversation for some time, consequently St. Philip must have lived to a very advanced age. It appears, from a passage of Polyerates, quoted by Eusebius, that he was buried at Hierapolis, in Phrygia, which city was indebted to his relies for its preservation by continual miracles, as is averred by the author of the sermon on the twelve apostles, attributed to St. Chrysostom. An arm of St. Philip was brought from Constantinople to Florence, in 1204, whereof we have an authentic history in the Bollandists. The Orientals keep his festival on the 14th of November; the Latins on the 1st of May, with St. James. His body is said to be in the church of SS. Philip and James, in Rome, which was dedicated to God under their name, in 560. The emperor Theodosius, in a vision, received from St. John the Evangelist, and St. Philip, the assurance of victory over the tyrant Eugenius, the morning before the battle, in 394, as Theodoret relates.